Are you or your loved one experiencing any of these? Not able to eat or only able to eat small amounts? Nutrition is important to your recovery and has been shown to promote positive outcomes. 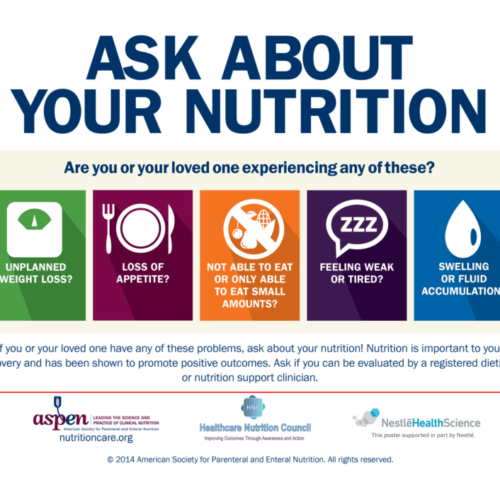 Ask if you can be evaluated by a registered dietitian or nutrition support clinician.